Last month, Leadership Montgomery welcomed the 5th cohort of the Emerging Leaders program. In 2014, LM decided to create a new program focused on training the county’s leaders of tomorrow. 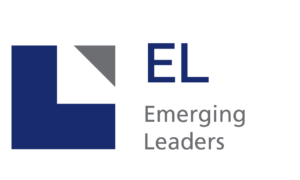 The EL program was designed to inform, educate, and connect rising leaders who are between the ages of 25 and 35, and live or work in Montgomery County, to the resources and expertise of other local leaders. Each year, participants have explored meaningful ways to strengthen their communities and add value to the organizations they represent, while advancing their professional goals. With a blend of professional development and county exploration, EL has helped to prepare these future leaders utilizing both hands-on learning and in-depth discussion on county challenges and opportunities. In addition to experiential learning components, LM wanted to maximize the program experience by assigning each EL participant with a Mentor. While LM has utilized several Graduates and community leaders over the past 5 years, we would like to recognize two LM Graduates who have served as a Mentor EVERY YEAR since the program’s inception: Lisa Mandel Trupp (CORE 2013) and Allison Stearns (CORE 2010). LM also extends a special thank you to those who have served as EL Mentors for 4 years- Joan Schaffer (CORE 2010) and Sara Watkins (CORE 2004) ; and 3 years – Ashlie Bagwell (CORE 2011), Lew Fontek (CORE 2014), Greg Twombely (CORE 2010), Jacqueline Audige (CORE 2009).